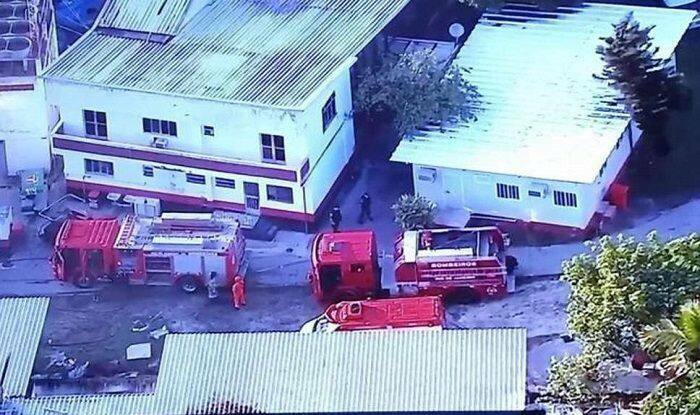 At least ten people are reported dead after a fire swept through the training facility of Brazil-based football club Flamengo on Friday. At least ten people are reported dead after a fire swept through the training facility of Brazil-based football club Flamengo on Friday. Three people were also injured in the incident which took place during the early hours in Rio de Janeiro after the blaze hit a building that housed youth-category players aged from 14 to 17, Brazilian outlet Glodo reported. According to wiki, Flamengo is the most popular team in Brazil, with over 39.1 million supporters as of 2010, and was voted by FIFA as one of the most successful clubs of the 20th century. It is also Brazil’s richest football club in terms of revenue, with an annual revenue of R$648.0 million ($195.62 million/€163.04 million) in 2017, and the most valuable club in Brazil, worth over R$1.69 billion ($510.2 million/€425.21 million) in 2017. The club has long-standing rivalries with nearby neighbours Fluminense, Botafogo and Vasco da Gama. There is also an interstate rivalry with Atlético Mineiro and a fierce one with Corinthians.